With support from Peterborough Music Hub the Peterborough Centre for Young Musicians (founded in October 2016) is a collaboration between Ormiston Bushfield Academy, Cross Keys Homes and the Guildhall school of Music & Drama and based on the latter’s highly successful London model, CYM, opened back in 1970. PCYM is aimed at Children and Young People aged between 7-18 years. As well as attracting young people who already play an instrument, the centre will also seek to attract young musicians who are in the earliest stages of learning or perhaps just beginning their musical learning. All children and young people are welcome to learn music at PCYM. Admissions are not based on the ability to pay and there are bursaries available for eligible applicants. The weekly sessions, from 09.00-12.30 each Saturday during term time, will include a mix of individual instrumental lessons as required, ensemble and/or orchestra training, membership of a choir, supporting studies classes, as well as sessions from visiting professors and Guildhall School student residencies. Key skills in regular practice, instrumental and vocal technique, musical analysis and performance will deliver a comprehensive package of training. Taster sessions are available on most Saturdays during term time, please email or check the website as outlined below. PHACE supports, endorses and commissions a broad programme of activity – heritage, arts, culture and enterprise, supporting the existing offer and acting as a conduit for external organisations wanting to work with children and young people in the city. It aims to signpost young people to careers and training opportunities within the creative industries. It is also the lead commissioned partner of Peterborough Music Hub and is contracted to deliver a programme of music education activity. Peterborough Sings! leads two annual Big Sing events for local Primary and Junior Schools on behalf of the Peterborough Music Hub. 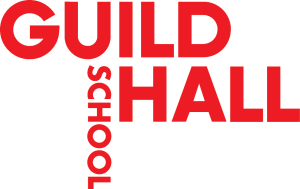 These hugely popular singing days, provide participating schools with high quality music tuition, together with a fantastic performance opportunity at the city’s Broadway Theatre. Places are offered to year groups/whole classes in KS2 and/or schools’ choirs. Teachers are supplied with resource material—including lyrics, sheet music and audio recordings. On the day, pupils and staff travel by coach to the Broadway Theatre, arriving between 10am and 11am. Pupils participate in a variety of sessions with a team of professional vocal coaches, led by William Prideaux. In the afternoon they are joined by a live band who accompany their singing in the concluding performance. The performance for parents and friends is held at 5.00pm on each of the days with tickets available for sale online. Accompanied children are free, although the event is not suitable for the very young. Pupils will leave with/be collected by their parents after the performance. Peterborough Youth Orchestra players are all Grade 6+ and week long holiday courses are held throughout the year, leading to special Gala Concerts at the end of each course. The Peterborough Youth Orchestra is led by Robin Norman. Robin studied at the Birmingham Conservatoire, one of Europe’s top specialist music institutions, graduating with a first class honours degree in 1995. Since that time he has worked as musical director for a number of orchestras, concert bands and other ensembles, as well as performing around the world as a conductor and tuba player. Lydia Cochrane—Flautist and attendee in 2015. The Beat Orchestra is a meeting of musical minds that explores fusions of style, to make musical masterpieces. “I feel like I’m making musical history” – Member Michael Tee. You have the use of a professional rehearsal room and recording studio to practice and record your music. “We nurture a space to engage young musicians and create original music” – Music Leader Rufus. The rehearsals are designed to help you compose your music with expert support from professional musicians; your say on how the project is run and what to do is vital to the success of the orchestra. “The best thing is meeting new musicians and creating musical masterpieces together” – Member Jack T & Jude Meloni. Young Musicians, whatever your preferred genre of music or ability. We are looking for Musicians, Producers, Singers, Rappers, Beat Boxers and instrumentalists aged 13-25, who are interested in making, composing and performing music as a large ensemble. The Peterborough Music Festival has been an annual event since 1925 and it is a historic part of the city’s cultural heritage. Children take part by entering as vocalists and/or instrumentalists in a variety of graded classes under the watchful eyes (and ears) of a highly qualified professional adjudicator. Their performances are evaluated and grades awarded. The winners of each category are invited to compete for the prestigious title of Musician of the Year. 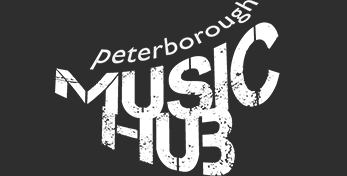 In 2016, Peterborough Music Hub sponsored a brand new category, the New Youth Music Showcase. This competition was introduced to highlight the special skills and talents of Peterborough’s young composers and songwriters. The winner receives a cash prize, as well as a recording session and other promotional opportunities across the year. The Peterborough Music Hub—through Orchestras Live— has developed a long-standing relationship with the Cambridge based Britten Sinfonia. The highly acclaimed company are regular visitors to Peterborough and have made a number of concert appearances at venues across the city. Recent major Music Hub projects have included a KS1/2 Schools’ Tour of Neoma and the Night Time. This was preceded by Pentatonic Roulette at the Kingsgate Conference Centre, a workshop project with 120 young musicians from Ken Stimpson Community School, Jack Hunt School, Thomas Deacon Academy and St. John Fisher School. These young musicians joined together with Britten Sinfonia players in a special live streamed performance. Britten Sinfonia delivered a ‘Let’s Play’ project at the Broadway Theatre in February 2016 with young instrumentalists from both primary and secondary schools playing alongside members of the company. Phoenix School in Orton Malbourne also enjoyed a visit from the company back in February 2016 as part of a three-day Creative Orchestra project.